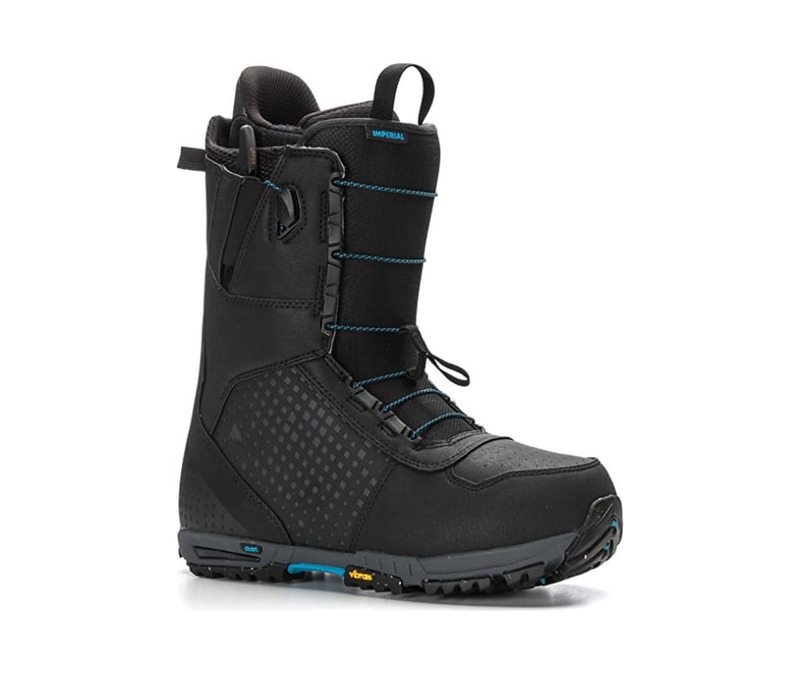 The Burton Imperial boot channels 30 years of expertise into the most bang ever for your hard-earned buck. Its high-end SLX-inspired performance includes S4 shell panels to keep the flex consistent, lightweight Vibram EcoStep soles for added grip, footprint reducing Shrinkage, plus an EST chassis with B3 Gel cushioning for ultimate board feel. Total Comfort delivers a broken-in feel right out of the box, while Sleeping Bag heat-reflective foil defies cold weather. With a flex that sits at the sweet spot between the Ion and Concord, this is the high-performance all-terrain boot you've been searching for.